Product prices and availability are accurate as of 2019-04-11 00:13:03 EDT and are subject to change. Any price and availability information displayed on http://www.amazon.com/ at the time of purchase will apply to the purchase of this product. An Entertainment Weekly Best Tell-All of 2013! 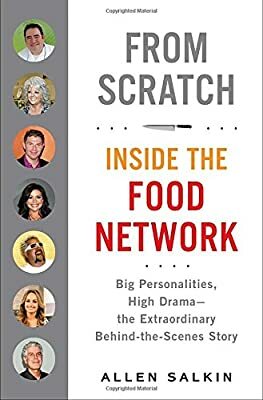 Big personalities, high drama—the extraordinary behind-the-scenes story of the Food Network, now about to celebrate its twentieth anniversary: the business, media, and cultural juggernaut that changed the way America thinks about food. In October 1993, a tiny start-up called the Food Network debuted to little notice. Twenty years later, it is in 100 million homes, approaches a billion dollars a year in revenue, and features a galaxy of stars whose faces and names are as familiar to us as our own family’s. But what we don’t know about them, and the people behind them, could fill a book. 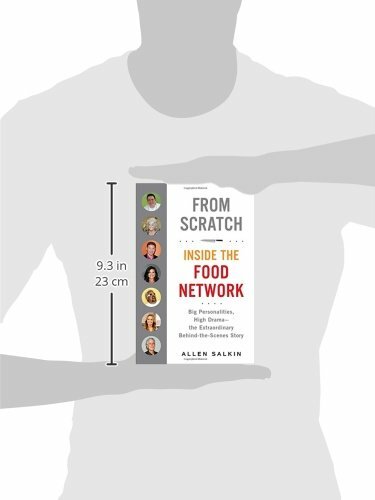 Based upon extensive inside access, documents, and interviews with hundreds of executives, stars, and employees all up and down the ladder, Allen Salkin’s book is an exhilarating roller-coaster ride from chaos to conquest (and sometimes back). As Salkin takes us inside the conference rooms, studios, homes, restaurants, and after-hours meetings, we see a salty Julia Child lording it over the early network performers; a fragile Emeril Lagasse staggering from the sudden public shock of cancellation; a very green Rachael Ray nearly burning down the set on her first day; a torn Tyler Florence accepting the Applebee’s job he knows he can’t refuse, but with a chill running down his spine; a determined Bobby Flay reinventing himself once again to survive. 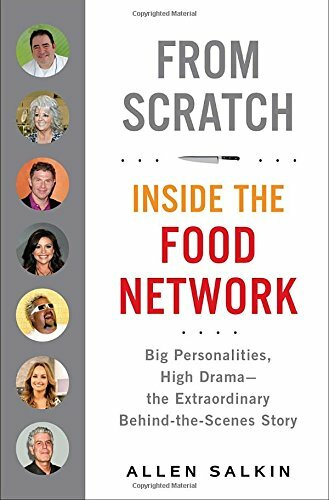 Paula Deen, Tom Colicchio, Anthony Bourdain, Mario Batali, Jamie Oliver, Martha Stewart, Guy Fieri, Cat Cora: Salkin illuminates the people we thought we knew, and the ones we never knew about, in this irresistible story of the intersection between business, television, pop culture, food—and us.